Sign-ups for Retro Week have closed! Retro Week is all about helping you find easy ways to add a little retro and vintage flair into your daily life. It's a free 5-day challenge that encourages you to find new ways to incorporate retro fun into your day, including cooking from vintage cookbooks. Love the idea of adding vintage and retro vibes into your life, but aren't sure where to start? Retro Week is the perfect place to start your retro lifestyle journey! Retro Week Starts February 25th! Do you spend a lot of time scrolling thru Instagram, admiring all of the amazing retro ladies and wondering how you can add some of that vintage style into your life? What’s stopping you from trying a new retro look? Do you need help figuring out what looks you should try or how to style your hair in that super cute pin curl? Hey friend, I get it! It can be overwhelming not knowing where to start, but I’ve got you covered with Retro Week! My name is Michelle, and I'm so excited to help you add a little retro into your daily life. 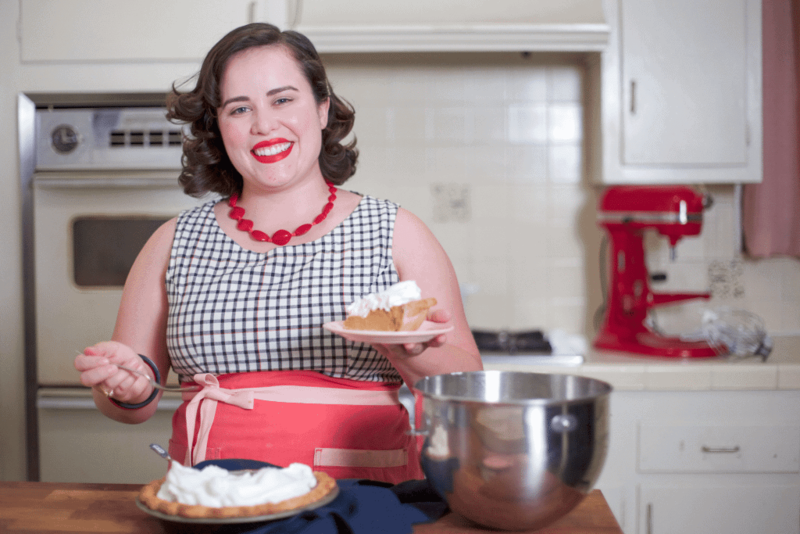 I have over ten years experience cooking professionally and have a passion for retro recipes. Cooking from old cookbooks and sharing those recipes with you is something I love doing. My retro lifestyle journey started in high-school with a polka dotted 1950's style prom dress, and I haven't looked back. Over the years I've realized that I've always felt my best when I've added a little retro flair into my day and stopped worrying about being the perfect pin-up all the time. I'd love to help you feel the same by showing you ways to add a little retro into your daily life! Can't wait to see you in Retro Week!